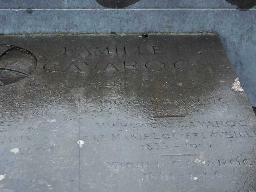 Honoré Cavaroc studied at the École des Beaux-Arts in Lyons. He was a painter of landscapes, still lifes, flowers and portraits. His paintings were first exhibited at the Salon in Lyons in 1872 and he continued exhibiting until 1929 at the Salons in Lyons and Paris. He won medals in 1886 and at the Exposition Universelles of 1899/1900. 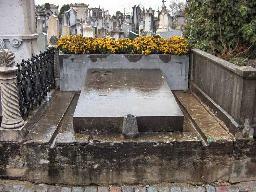 The grave of Honoré Cavaroc at the Loyasse cimetière, Lyon.